The Christmas Season is already upon us, and all are invited to come remember the reason for the season, and to take some time to be "fed!" 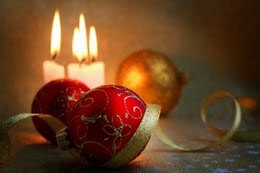 Then take take time off from the "Christmas craziness," and join us from 6:30 pm - 8:00 pm on Thursday Dec. 13 and Dec. 20 in the chapel for our special Advent suppers. In about the time it would take to cook, eat and clean up the dishes, you can spend time with family and friends, enjoy a good Christmas story, and sing some favorite carols. We'll do the cooking and clean-up, while you relax and enjoy! If you like, donate what you'd pay for "fast food" -- or bring some canned foods to share with those in need.